The Executive Board is made up of officials that you elected to take care of the critical functions of Local Lodge 811. If you need help starting your own project, or want more information about the day to day operations of your local, contact a member of the E Board for expert guidance. From the start, we have wanted to do important things here at IAH. We want to protect our careers, wages and safety… but these important goals can only become reality with the ideas and talents of the individuals that work here. Luckily, Local 811 is home to some incredibly talented individuals. Doctors, teachers, business owners, lawyers, professional athletes and artists can all be found working the ramp right here at IAH. That means that we have what it takes to make a real difference. 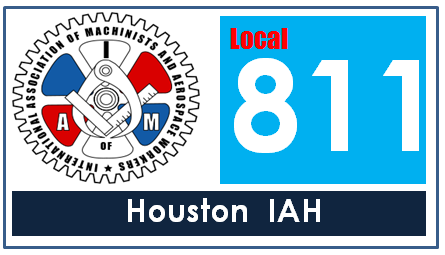 What we do here at Local 811 matters. We have one of the largest hubs in the world, in one of the largest airlines in the world, and we are an important part of one of the largest labor unions in the world. Working together, there is no limit to what we can accomplish. Thank you for getting in the game with us. Let’s do something great.